Finally, a housekeeping and organizational system developed for those of us who'd describe our current living situation as a 'f*cking mess' that we 'really need to get around to fixing one day.' 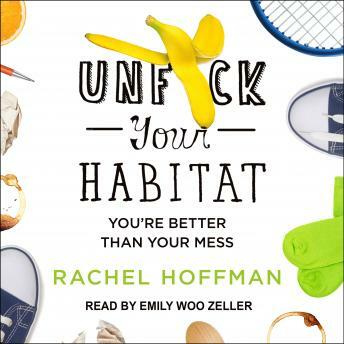 Unf*ck Your Habitat is for anyone who has been left behind by traditional aspirational systems-the ones that ignore single people with full-time jobs, people without kids but living with roommates, and people with mental illnesses or physical limitations. Most organizational books are aimed at stay-at-home moms and people who seem to have unimaginable amounts of free time. They assume we all iron our sheets, have linen napkins to match our table runners, and can keep plants alive for longer than a week. Basically, they ignore most of us living here in the real world.